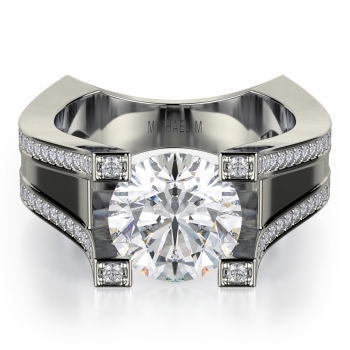 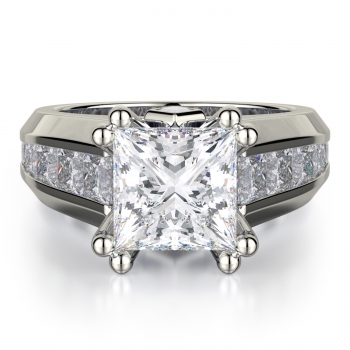 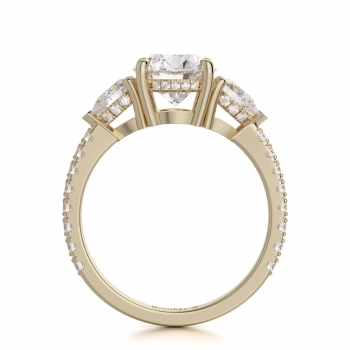 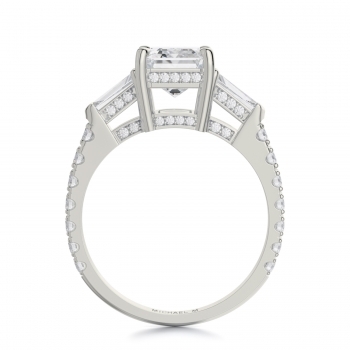 Michael M Engagement Rings | View Authorized Retailers Shop Now! As stunning as they are timeless, Michael M engagement rings are made to suit the style preferences of today's modern and fashion-forward woman. 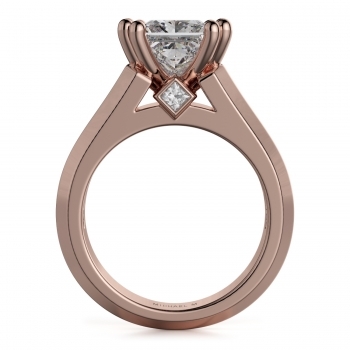 Superbly made, the engagement rings of Michael M are made featuring unique designs, a European style shank, along with the one-of-a-kind detailing that have made Michael M popular today. 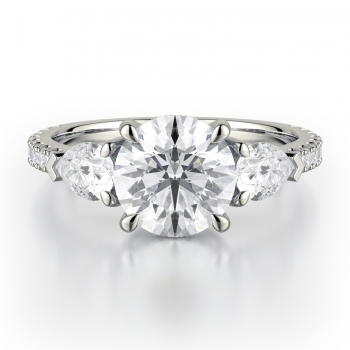 Available in a wonderful selection of halo, side stone, three stone, and solitaire styles, Michael M engagement rings are built to bring an eternity of beauty, sophistication, and satisfaction to the life of any bride. 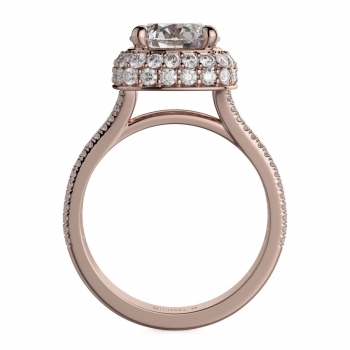 Additionally, all Michael M engagement rings are made using only the highest-quality precious metals including exquisite 18-karat white gold, yellow gold, rose gold, and long-lasting 950 platinum. Available now at all authorized retailers, Michael M engagement rings can be found in a wonderful variety, perfect for the contemporary and fashion-forward bride-to-be. 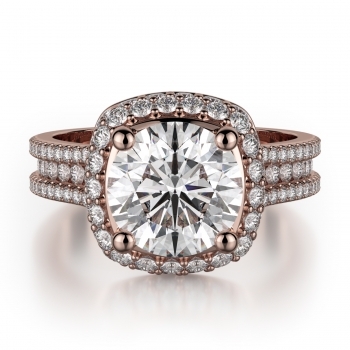 Popular Michael M engagement ring styles include regal halo diamond style pieces, sparkling side stone models, and romantic three stone diamond settings for representing the "past, present, and future" of your love. 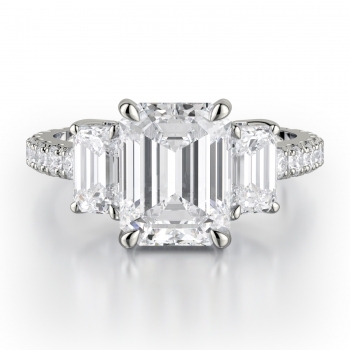 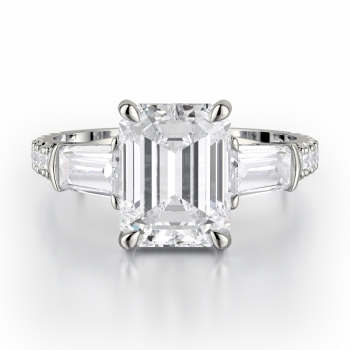 Further, the engagement rings of Michael M can be crafted to accommodate brilliant round, princess, asscher, cushion shaped, and other center diamond cuts upon request. 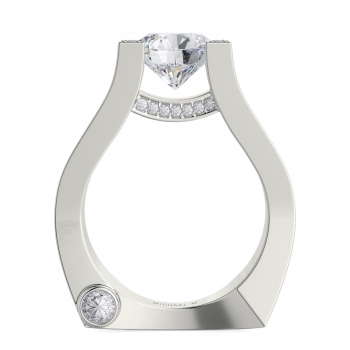 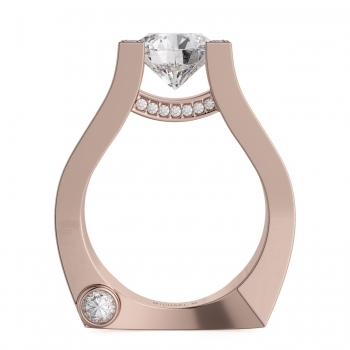 An innovator in the jewelry making industry, Michael M was founded in 2008 and is now internationally regarded as one of the premier designers of high-quality bridal and fashion jewelry. Handcrafted in their state-of-the-art California design studio, The Michael M design ideology is simple; they understand that for progress some "traditions are meant to be broken." As such, every piece of Michael M fine jewelry, including their collections of engagement rings, men's and women's wedding bands, earrings, bracelets, necklaces and fashion rings are artful pieces of high-fashion jewelry perfection.